WASHINGTON (AP) — House Democrats are stepping up their efforts to investigate President Donald Trump and his associates, hiring new lawyers and staff as they take on oversight responsibility and prepare for a showdown over access to special counsel Robert Mueller’s final Russia report. House Judiciary Committee Chairman Jerrold Nadler on Tuesday said he has hired two veteran lawyers and Trump critics as his panel gears up to investigate the Justice Department and review Mueller’s final conclusions, whenever they are released. Nadler and other Democrats have pressured Trump’s nominee for attorney general, William Barr, to release as much of that report as possible. The two prominent lawyers, Barry Berke and Norman Eisen, could also provide expertise for impeachment, if Democrats decide at some point to pursue it. The hires signal that while Democrats have been cautious on whether they may eventually choose to try to remove the president from office, they are moving forward aggressively with oversight as they wait for Mueller to finish his own investigation. 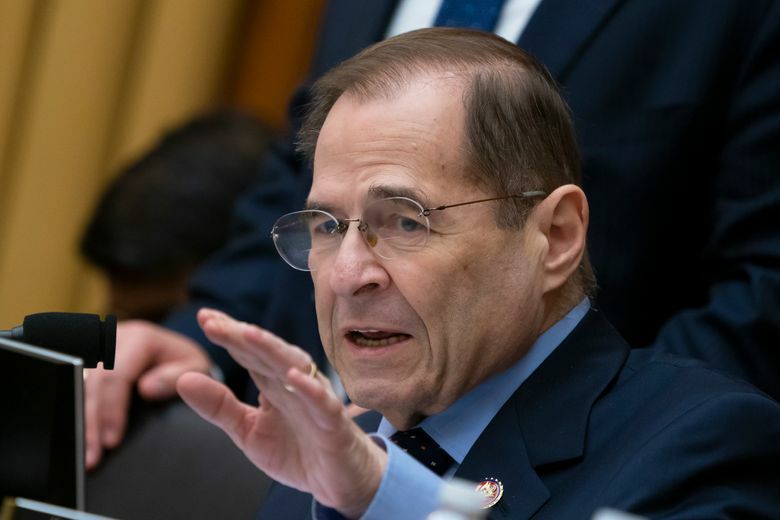 The Judiciary Committee is determined to “ask critical questions, gather all the information, judiciously assess the evidence, and make sure that the facts are not hidden from the American people,” Nadler said. He said Berke and Eisen have been retained on a consulting basis as “special oversight staff” and they would consult on matters related to the Justice Department and Mueller’s investigation into Russian interference and connections to the Trump campaign. Nadler did not mention impeachment in the statement announcing the hires, but noted that Trump faces “numerous allegations” of corruption and obstruction. The House intelligence committee is also preparing a broad investigation into Trump’s finances and foreign connections and has added new staff with experience at the National Security Council. One of them, Abigail Grace, worked for both Trump and former President Barack Obama on the NSC. While committee investigations could cause significant heartburn for Trump, lawmakers know they are somewhat limited in what they can do because they don’t have the ability to conduct a criminal investigation as Mueller does. So they say access to his final report will be significant. It’s unclear what the special counsel’s final report will look like. Barr has said he wants to be as transparent as possible under Justice Department regulations, but those regulations require only that a report explain the decisions to pursue or to decline prosecutions. Democrats have said they want much more information than that — and are prepared to fight to get it. Nadler has said repeatedly that he would subpoena Mueller for a report or require him to appear. To that end, top Democrats in the House and Senate have been discussing ways to bolster their legal teams in anticipation of that battle. As part of their strategy, several Senate Democrats who met with Barr told him that if he didn’t make a comprehensive report on Mueller’s probe available to Congress, their House colleagues would consider subpoenaing Mueller’s investigators, a person familiar with the matter said. The person spoke to The Associated Press on condition of anonymity in order to discuss private conversations. In several meetings Barr had with key Democrats, he was asked specifically if he would block subpoenas or efforts to compel the investigators to appear before Congress but gave noncommittal answers, the person said. Most Democrats are planning on voting against Barr this week when the Senate considers his nomination, with many of them saying they had hoped he would be more forthcoming about the release of the report. Still, Barr is expected to be confirmed. Senators voted 55-44 Tuesday to move forward on the nomination, setting up a final confirmation vote before week’s end. Eisen served as a White House counsel for Obama and has focused on government ethics and corruption as a co-founder of the group Citizens for Responsibility and Ethics in Washington. Berke is a top trial lawyer and white collar criminal defense lawyer who is based out of New York. Georgia Rep. Doug Collins, the top Republican on the Judiciary Committee, criticized the hires and the “sharply partisan op-eds” that Eisen and Berke have written together.